For a quiet, comfortable retreat to discuss business strategy or for an opportunity to bond with colleagues, Battel Hall offers a secluded and luxurious environment. An on-site chef and housekeeping service will ensure your every need is catered for, with the added benefit of the Leeds Castle estate being on your doorstep. It offers a 9-hole golf course, falconry experiences, Segway tours and more. 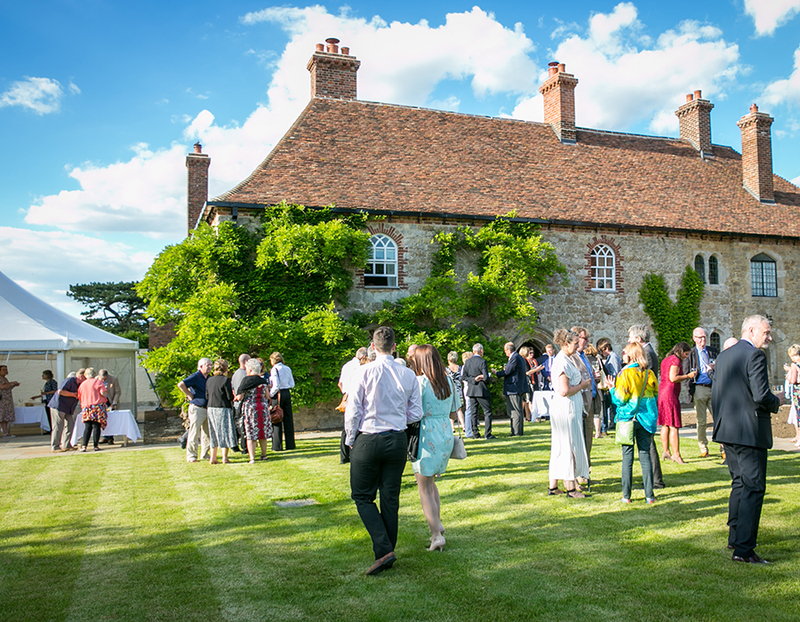 For larger conferences and meetings held at Leeds Castle, Battel Hall provides a perfect break out space and added premium accommodation for top executives. The ultimate meeting refresher is a tour of the magnificent grounds on a Segway personal transporter. Besides being lots of fun and surprisingly easy to ride, this tour offers opportunities to enjoy views of the Castle which are rarely afforded to day visitors. A falcon swooping down and landing on your gloved hand is an exceptional experience. At Battel Hall Leeds Castle the falconry team welcomes corporate groups to learn first-hand about birds of prey, to venture out into the parkland to fly them and bring them back to your own gauntlet. Battel Hall and Leeds Castle have teamed up with Wildgoose to offer thrilling interactive treasure hunts taking participants around the formal gardens and parklands. A fun and instructive archery event for groups large and small, where teams learn how to shoot arrows accurately and then compete in an archery tournament. Galleried Entrance Hall: A galleried hall is tastefully decorated with console tables, lamps and antique furnishings providing opulent luxury with comfort. The period features such as a unique medieval laver, stone carved basin, make for an extraordinary first impression. An accessible cloakroom on the ground floor is ideally situated adjacent to the hall and morning room. Dining Room: This mellow room features elegant oak panelling, which originally came from the Castle. A welcoming open fire and bespoke oak dining table seats up to 14 guests. Carefully chosen china and glassware complete the look. Drawing Room: The library offers sumptuous velvet and leather sofas, soft lighting and beautifully woven rugs. There is an open fireplace and warm parquet flooring. Morning Room: The morning room features exceptional hand painted De Gournay wallpaper in a colourful palate of yellows and creams. Sunshine floods through doors which open out to the terrace wrapping around the rear of the house. Kitchen and Pantry: The kitchen features a black and white traditional tiled floor and granite work surfaces in keeping with the English country house feel. A range cooker, double-fronted fridge freezer and dual zone wine cooler make the kitchen a wonderful space, whether cooking a kitchen supper for yourself or appointing the Chef for a dinner party. A Boot Room featuring washing machine and drier adds to the convenience of longer stays. Bedrooms: Each of the five en-suite double bedrooms is decorated in its own unique style. The Master Bedroom is decorated in powder blue and soft lilac to echo the Wisteria delicately adorning the manor house. All the bedrooms echo the elegance and beauty befitting a manor house within a Castle estate with colour hues in regal golds, romantic pinks and elegant greens, royal blue and deep reds. Each Battel Hall bedroom features a super king or kingsize zip linked bed with the option of twin beds in two bedrooms. Each bedroom features a luxury en-suite bathroom decorated with marble floor tiling adding a 1920's feel echoing the Castle’s last private owner Lady Baillie. Garden: The English country house style garden is enclosed and private with a historic Kentish bower offering shade by day and shelter in the evenings. Evergreen hedges surround the formal garden with roses, peonies, irises and shrubs creating an fragrant atmosphere. Wisteria decorates the house in delicate violet flowers when in full bloom during May and June. Battel Hall Oast: Adjacent to the main Hall is a delightful two double bedroom self contained family annex. This can be booked in conjunction with the main building and is ideal for young families. Ample private parking is available to the front of the property.